Inkjet printing: modern inkjet technology creates full color coverage with a beautiful textured surface. 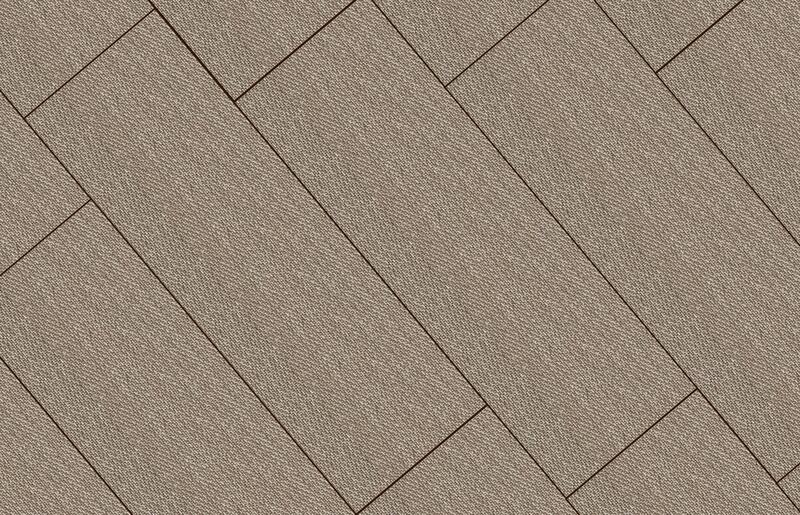 Porcelain tile: A strong, durable tile, perfect for floor and wall applications. V1 Color Variation: Minimal to no difference among pieces from the same production run because each ceramic tile is manufactured using the same glaze applications and body texture. <0.5% water absorption rate: This tile is an impervious or extremely dense tile, perfect for floor or wall applications. Applications: Fits into any room for a textured fabric look, without all the hassle and maintenance required for fabric floor coverings .These tiles are recommended for indoor or outdoor floor or wall applications, perfect for feature walls, or conversation-piece floors!